Last week in Los Angeles, bullets flew in a classroom striking two students at Salvador Castro Middle School. When the dust settled a 15-year-old had been struck in the head while a 15-year-old girl was shot in the wrist. Was this another school shooting so soon after the ones at Marshall County High School in Kentucky and the one at Italy High School in Texas? No it wasn’t, but it was something equally as disturbing. 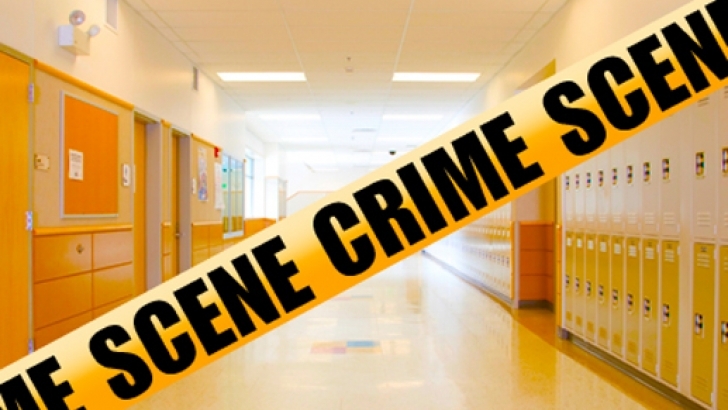 After investigation, the shooting turned out to be an accidental discharge of a semi-automatic pistol that was in the backpack of a 12-year-old girl. It was one bullet that went through the wrist of the female victim then striking the male victim near the temple. Both victims’ injuries were non-life threatening and both are expected to be fine. According to one witness the suspect thought the gun was a toy, however, that’s not possible in my opinion. The gun was reportedly discharged after the girl dropped the backpack it was in. I’m far from a firearms expert. I’ve only fired a gun once in my life and it wasn’t done under the most educational of surroundings. So, I reached out to some friends of mine who have at least some proficiency in firearms, and what they told me was that a semi-automatic pistol can’t accidentally discharge unless there’s a bullet in the chamber and the hammer is cocked. That means the gun was probably primed to shoot. While the shooting has been ruled accidental it doesn’t address the issue of why a 12-year-old girl had a gun that was ready to fire on a moment’s notice and where she got it from. Not only that, but the gun itself was unregistered. The 12-year-old suspect has been charged with being a minor in possession of a firearm and having a weapon on school grounds. Both charges are felonies. While the potential was there, and this was a disturbing incident, it’s not what I would call a school shooting.